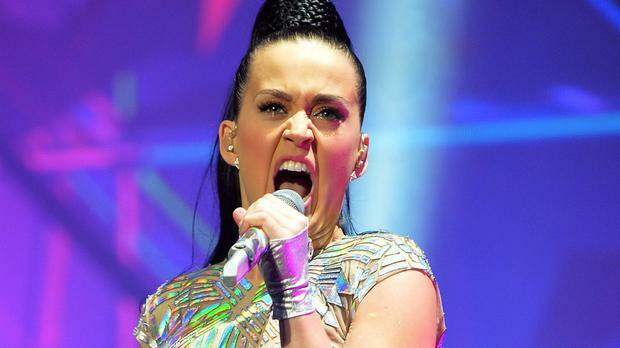 Katy Perry is thought to have been signed up to play the half-time show at the 2015 Super Bowl. The Roar singer is reported by Billboard to be the next big name artist to take on the prestigious performance during the US National Football League game next year. She was first mentioned as a possibility in August, alongside Coldplay and Rihanna, although according to E!, Rihanna has since fallen out with NFL broadcaster CBS as they cut her song Run This Town from their football coverage. When the candidate acts for the Super Bowl show were first told they were being considered, the NFL asked their reps if they would be willing "to contribute a portion of their post-Super Bowl tour income to the league, or if they would make some other type of financial contribution, in exchange for the half-time gig." But Katy said when appearing on an ESPN football show: "I'm not the kind of girl who would pay to play the Super Bowl."